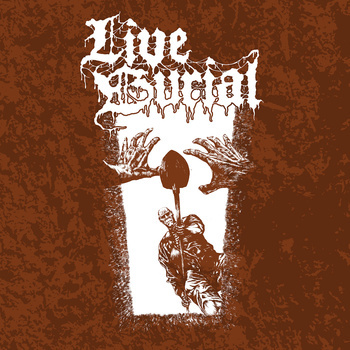 LIVE BURIAL – S/T EP Of Barbarous Deathly Doom Metal Is: Stone’s METAL Pick Of The Day! LIVE BURIAL – The self-titled EP from Live Burial has made me proclaim it as: over 22 minutes of savage and doom ridden Death Metal, that can easily rip and tear your Metal soul apart. This is some of the most enjoyable Metal I’ve listened to in 2014; Live Burial is Death Metal with hefty doom influence that’s 100% underground and the real deal. Originating from Newcastle Upon Tyne, UK, this is a Death Metal band I’m more than elated to welcome across the Atlantic. Crank Up, Support And Download LIVE BURIAL, Below! Whoa! This entry was posted on November 6, 2014 at 6:41 pm and is filed under Death Metal, death metal bands, Metal, metal music, Music, music news, rock music, rock music news with tags Death Metal, death metal bands, doom metal, live burial, metal albums 2014. You can follow any responses to this entry through the RSS 2.0 feed. You can leave a response, or trackback from your own site.